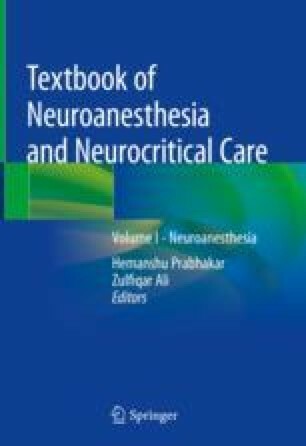 The goal of this chapter is to provide the anesthesiologists with detailed information about the anesthetic management in patients undergoing surgery for the treatment of the pituitary diseases. The peculiar features of the underlying endocrine disturbances are illustrated. Knowledge of anatomy and pathophysiology of the pituitary gland is paramount to understand the potential complications: pituitary gland function and signs and symptoms of pituitary tumors related both to hormonal hypersecretion and hyposecretion syndromes are illustrated. Pituitary surgery has evolved over the last two decades from an open transcranial surgery to the minimally invasive endoscopic endonasal approach: surgical techniques of pituitary tumors and their advantages and disadvantages are briefly summarized. In those patients complaining of a pituitary adenoma, preoperative endocrinological assessment and tailored management strategies are required to reduce the morbidity related to the surgical pituitary procedure itself, above all, upon anesthetic issues. Therefore, multidisciplinary team case discussion is of utmost importance to rule out the optimal therapeutic option before surgery. Different anesthetic modalities and drugs can be used adequately in the intraoperative period avoiding complications and thus providing an uneventful recovery. The main goals of the anesthetic treatment include the hemodynamic stability, airway management, quick and smooth awakening at the end of surgical procedure, and prevention of intra- and postoperative complications. Anesthetic management with particular attention to that of patients suffering from acromegaly and Cushing disease is outlined. Finally, the main postoperative issues are illustrated: usually, after undergoing an endoscopic endonasal procedure, patients don’t require intensive care unit admission, unless in extraordinary conditions and/or depending on preexisting comorbidities. In these patients, the postoperative issues are mainly related to airways management, pain management, neurological and endocrine status, and fluid balance control. Endocrine disorders include hypopituitarism, diabetes insipidus, and inappropriate secretion of antidiuretic hormone. The author would like to thank Prof Paolo Cappabianca, Prof Luigi Maria Cavallo, and Dr Domenico Solari at the Division of Neurosurgery of Università degli Studi di Napoli Federico II, for having shared their experience and work all along the case series. Further, they have been a precious asset in the English language assistance and iconographic section. Carroll PV, Jenkins PJ. Acromegaly. In: De Groot LJ, Chrousos G, Dungan K, Feingold KR, Grossman A, Hershman JM, et al., eds. Endotext. 2016. https://www.ncbi.nlm.nih.gov/books/NBK279097/. Accessed 11 June 2018.